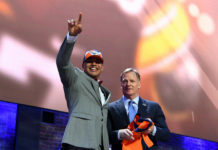 The Denver Broncos shored up one side of their defensive line for the next four years when they signed Derek Wolfe to a contract extension on Friday. Now it’s time to lock up the other by getting a deal done with Malik Jackson. Jackson and Wolfe have been exceptional this year, and were both instrumental in putting the Denver defense atop many statistical categories, including sacks and total defense. 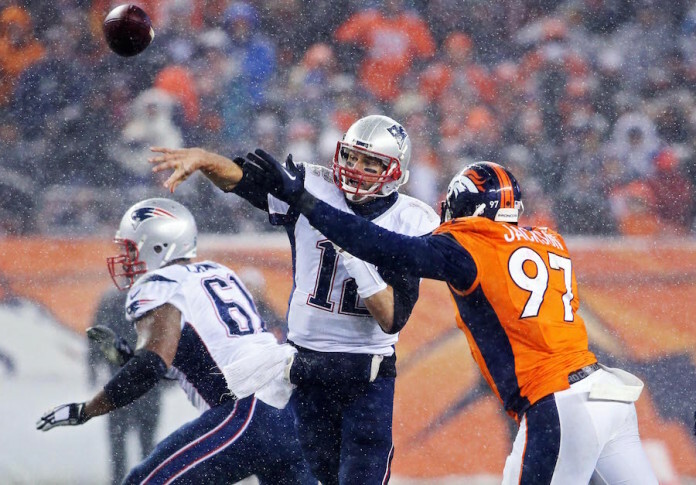 They Broncos ranked third against the run in large part to those two. Together they combined for 11 sacks, sharing the stat with an equal 5.5. Jackson was a starter in all 16 games and led all defensive linemen in the league with an impressive seven passes defended/batted. His 34 tackles were tied for eighth on the team and he accounted for Denver’s only safety. Jackson was in on 75 percent of the team’s defensive snaps this season, a career high by 20 percent according to Pro Football Focus, and he was rated the team’s second-best defensive performer by the same site. Only Von Miller was more valuable to the Broncos in 2015 according to the analytics website. Those two are typically on the same side of the line, which should come as no coincidence. Defensive coordinator Wade Phillips has unleashed a ferocious front seven that John Elway must do everything to keep intact. The defense, which has been the strongest on the inside as its been in decades, will require some investment as Miller is set to make a huge pay day as well. Denver will have the option to franchise tag their All-Pro linebacker, but both sides reportedly want to get a long-term deal done. Miller will expect to make north of the $101 million ($52 million guaranteed) that Kansas City just paid to Justin Houston this past offseason. Jackson, meanwhile, will likely command the same range Wolfe is reported to have received – four years at $36.7 million with $17 million guaranteed. His numbers absolutely justify the investment, as does his character and personality. A regular guest on Sports Stampede on Mile High Sports AM 1340, Jackson is as affable and hard-working player as you’ll find on the roster. He’s a consummate pro and extremely well liked in the locker room. Jackson is heavily involved in the Lucky 7 for Kids program, which assists children of fallen, wounded and deployed soldiers. Jackson, a 2012 fifth-round pick out of Tennessee, came into the league at the same time as Wolfe and the two have become a fearsome run-stopping duo, not to mention a vital part of the best pass rush in the league. Wolfe, always the gregarious one with his howling sack celebrations, has been rewarded. Jackson’s due should be coming. He recently told Sports Stampede that while his new deal isn’t done, he’s happy with how negotiations are going and that he intends to be in a Broncos uniform this time next year and in years to come. But the humble Jackson isn’t talking about that right now. He’s focused on the Steelers and worried about doing his job. Jackson has been a part of the best defense in football this year. 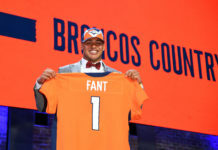 If he carries that same attitude into negotiations, and John Elway is fair to one of his best interior defenders, there’s a good chance he’ll be back next year to build upon this year’s success.